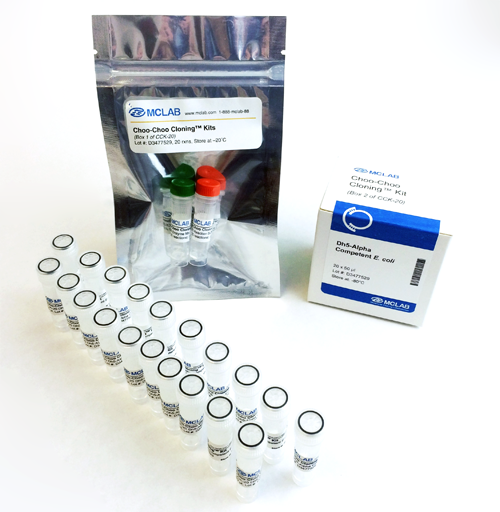 MCLAB’s Maxi Plasmid Purification Kit offers a rapid, simple, and flexible method for isolating high quality endotoxin-free* supercoiled plasmid DNA from recombinant E. coli cultures. The kit features a filter syringe for rapid lysate clearing and magnetic particles for DNA capture. 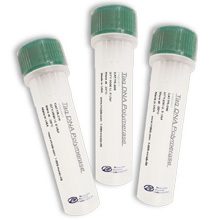 Up to 1 mg** of plasmid DNA can be purified from a 150 mL overnight culture grown in Luria Broth (LB) medium. An E. coli culture is harvested by centrifugation and treated to a modified alkaline-SDS lysis procedure. Following the lysate clearing, DNA is selectively adsorbed to the magnetic particles in the presence of high salts and alcohol. Contaminants are removed by two washing steps. The bound DNA is then eluted and subjected to isopropanol precipitation as a final polishing step. The recovered product is of high-quality and predominantly supercoiled plasmid DNA that is ready for immediate use in downstream applications such as restriction digestion, ligation, sequencing, PCR, transformation and transfection. 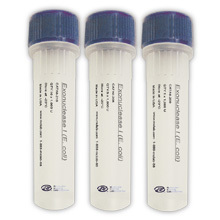 * MCLAB’s endotoxin free standard is <0.1 EU/ug plasmid DNA. ** Actual yields may vary based on the bacterial strain, plasmid and culture medium used. Figure 1.This is a Maxiprep of a 6KB plasmid comparison between MCLAB and Supplier Q (ion-exchanged column-based). Based on 260/280 spectrophotometer, the same amount of DNA is loaded onto a 1% agarose gel from MCLAB and Supplier Q. Note: 1 µg DNA of Supplier Q contains high impurities such as genomic DNA, smears of non-specific DNA fragments, and less of the specific plasmid DNA as oppose to MCLAB. Figure 2.This is a Maxiprep of PCDNA plasmid comparison between MCLAB and Supplier Q (ion-exchanged column-based).